Caramel candy apples are a favorite treat during the Halloween season. It is the perfect food for a sweet, satisfying treat. Caramel candy apples are easy to make using a simple recipe. Choose the apples you want to use. Farmers' market apples are best for caramel candy apples because they do not have wax on them, which some grocery stores use to make the apples shinier; this wax can make the caramel slide off the apples. 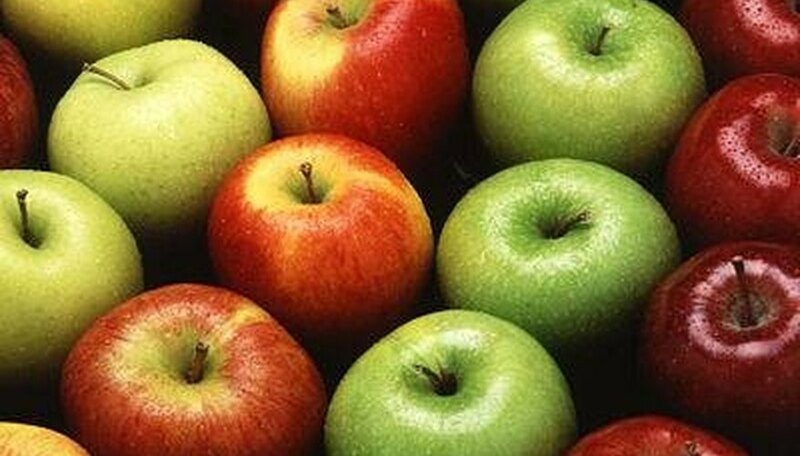 Wash the apples in warm water, pat them dry with a paper towel and remove the stems. An easy way to remove apple stems is to grab the stem with your fingers and spin the apple to twist it off. Popsicle sticks or chopsticks can be used for the sticks. Chopsticks are easier to use because they have a narrowed end that can easily be pushed through the top of the apple. Insert the Popsicle sticks or chopsticks into four large, clean apples. Open each caramel candy, place it into the microwaveable bowl and add 1 tbsp. of water. Place the bowl in the microwave and heat on high heat for one minute. Take out the bowl and stir the caramel. Put the bowl back into the microwave and stir every minute until the caramel candies are completely melted. Be careful not to burn the caramel. It should take no longer than three minutes to completely melt the caramel. Dip the apples-on-sticks into the the caramel mixture. Coat the apples completely with caramel then lift slowly over the bowl. Use a spoon or knife to smooth the caramel over the bottom of the apple. Place the apples, stick-side up, on a cookie sheet that has been covered with wax paper. Repeat until all of the apples have been covered with caramel and placed on the cookie sheet. Optional: Before you put the caramel candy apples in the refrigerator to set, add toppings. Use a small bowl to roll the apples in toppings like chocolate chips, mini marshmallows, M&M's nuts or candies. Place the apples back on the wax paper and put them in the refrigerator for 1/2 hour, or more. Pop the caramel candy apples off the wax paper when you are ready to serve them. Wash the apples to clean off any wax that may cause the caramel to slide off. Be careful not to touch the hot caramel directly because it can cause burns.